Make a difference in the life of drivers like Luke. Provide lost truckers with the message of Jesus Christ and help them grow in their faith. Luke from Poland came into the chapel looking for a Priest to confess to. I shared with him about our High Priest who takes away the sins of the world and he said yes to Jesus...he hasn't seen his wife and 3 children in 3 months. Pray for these drivers. It's a tough life. Stories like these are made possible by people just like you who care enough to share the Gospel with truck drivers like Luke. Thousands of drivers visit our chapels across the U.S., Brazil, Canada, Russia, and Zambia every year. Contact us if you would like more information about our services to the trucking industry. Thank you for joining this unique mission reaching people who make a living on the highways and byways! We're excited to see how God's Word sown into the hearts of the men and women in the trucking industry will return with a harvest for God! 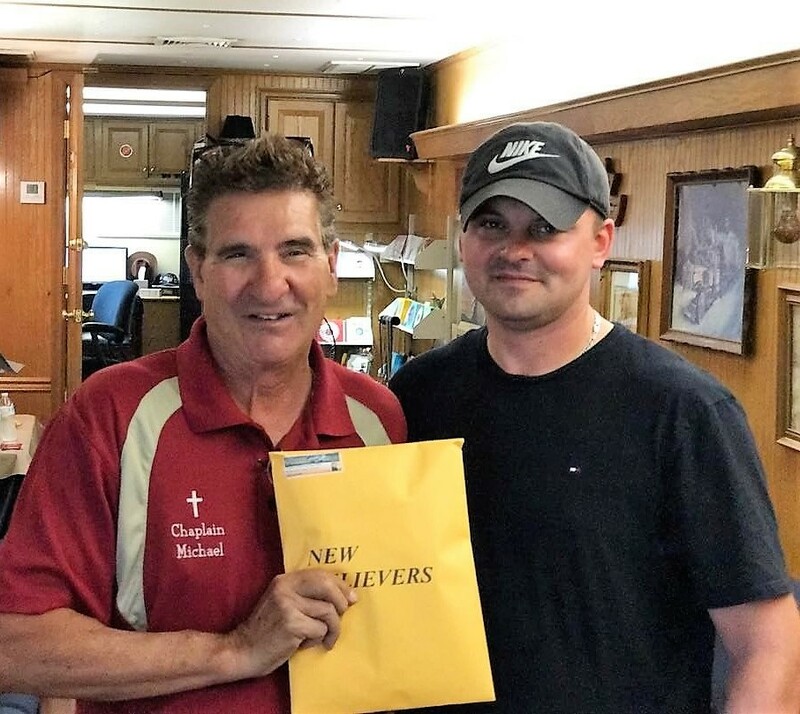 Chaplain Michael DeBay is doing great things for truckers in Ontario California. Keep spreading the word of God.